For this Handmade Holidays Hop, I chose to highlight the Takeout Thinlits dies. They are adorable with a window and filled with colorful treats and would also be fantastic as a little gift box for jewelry. First, I chose to use a particularly fall-ish piece of the Tea Room Specialty Designer Series Paper with Crushed Curry Cardstock. 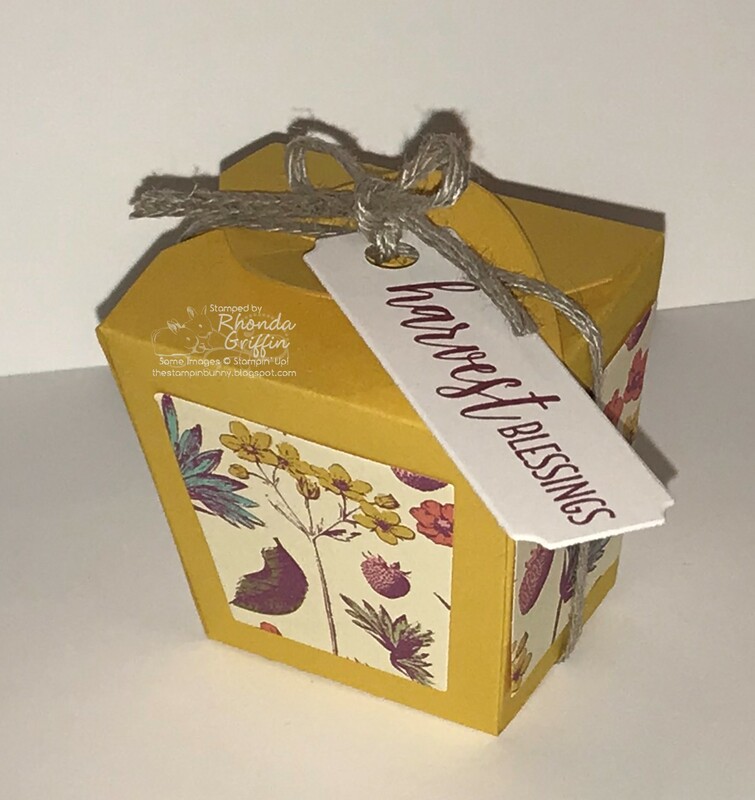 I liked the organic look of the Braided Linen Trim for a tie around with the Harvest Blessings sentiment from the Country Home Set. This could be perfect for a treat for the person cooking the majority of your Thanksgiving meal. Next, I have a variety of Christmas Take Out Boxes. 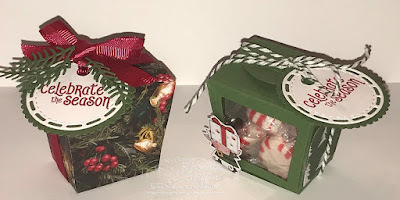 Some have a window cut through so you can see the sweet mints inside, and the All is Bright Designer Series paper makes a cute "closed" box for concealing a gift. I used some leftover greenery from the Detailed Poinsettia thinlits dies to further embellish the tag. The Celebrate the Season sentiment is from the Mistletoe Season Stamp Set on page 95 of the Annual Catalog. 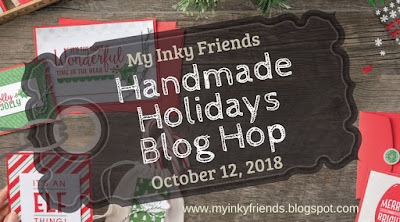 Now it is time to continue to Cindy's Heart's Delights blog for some pretties made with the Cauldron Bubble set!